Choosing a musical instrument is an exciting process. However, depending on the type of instrument and what’s available, it can also be a difficult one. The piano is one of the trickier instruments do purchase because there are so many variants that affect the cost. So, how much does a piano cost? An upright piano costs between $3000 – $6500 on average. High-end upright pianos average around $10,000 – $25,000. 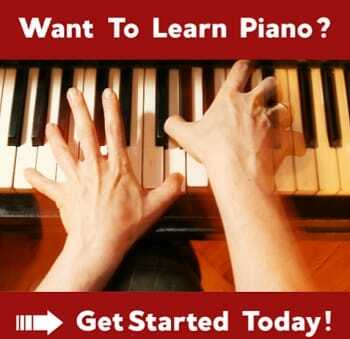 Entry level grand pianos costs between $7000 – 30,000. High-end grand pianos such as Steinway, Bosendorfer, and Yamaha can cost between $65,000 – $190,000. 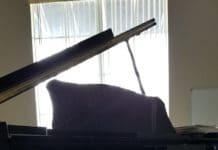 Whether it’s an upright or grand piano, the cost of the instrument is greatly affected by branding, the materials used, labor, and the current market. I’ll discuss how all of those factors affect the overall price of pianos and some tips for making a wise purchase decision. Buying a new piano in today’s competitive market can be stressful. There is a lot of information to consider before making the purchase. Here is a helpful pricing guide below of the 11 most popular piano brands. This piano price chart shows the average cost for uprights, baby grands, and concert grands from each company. Before purchasing any piano, it’s important to understand the various factors that affect the price. With that knowledge, it’s much easier to walk into a piano showroom or private seller and purchase an instrument. Let’s start by discussing how piano branding and marketing affect prices. Like any product, the name on the label matters. It’s the same in the piano business, as branding speaks highly to an instruments reputation. People associate a certain quality in performance and craftsmanship with certain piano brands. Because of that, prices for certain pianos will always be higher than others regardless of the age and condition of the instrument. If the piano is being purchased used on the secondary market, it may fetch several thousands more than another piano because of the label alone. Likewise, if it’s a piano maker known for making terrible instruments, the value will be less. Some of the most respected piano brands on the market are Steinway and Yamaha. They own a significant portion of the piano market and fetch some of the more expensive prices for their pianos. In addition to that, they have artist programs, endorsement deals with leading performing arts centers, and exclusive contracts. Then there are some brands such as Young Chang, Nordiska, and Baldwin who sell pianos for much cheaper. Likewise, the overall quality of the instruments while good don’t quite compare to the bigger brands. This is in regards to how they are built, materials used, how the instruments sound, and even the overall look and finish. Even though branding has a big effect on the price of a piano because of perception, there are certainly high-quality instruments from every piano maker. It’s much harder to find a consistently good instrument which is where top brands like Bosendorfer, Yamaha, and Steinway routinely excel. The current state of the piano market has an effect on the overall costs. If the popularity of the instrument is rising and production is increasing, you can expect to see the prices rise. If the piano market is scarce and no one is buying instruments, you can expect to see prices drop to help move inventory. In the case of some piano brands like Steinway and Yamaha, the price of the newer pianos has an effect on older ones. Typically an old Steinway will sell somewhere between 45% – 48% of the value of a new one. This means that as the price increases for new pianos, the old ones will also increase in relation to that. As a whole, pianos have gotten considerably more expensive over the years. Many brands are starting to introduce entry-level grand pianos or pianos that have some limited features to help cut down costs. The size of a piano is one of the main determinations in costs. Pianos that are larger are more difficult to produce. They require more materials and parts, and sometimes different materials than their smaller counterparts. The parts tend to be much bigger to match up with the size of the piano casing. The strings are longer, the cast iron plate is larger, and even the hammers are size differently. That’s all very important because the piano needs to make the proper sound given its size. If a large piano used the same size strings, hammers, and soundboard of a smaller one, it simply would not function properly. These pianos are also more labor-intensive, taking more time to produce. The differences in price apply to upright pianos as well. For example, a 45″ Yamaha b2 costs around $7000 less than a 52″ Yamaha U3. Grand pianos have even bigger price differences. For example, a 5’3″ Yamaha costs around $35000. On the other hand, a 6’7″ Yamaha costs $58,000. Size is a factor, but also the finish of the piano and whether it’s a student model or professional model matters as well. Every acoustic piano is built with a combination of hardwoods, softwoods, metal, felts, and other fabric materials. These materials vary in cost. Generally, the smaller more affordable pianos use more innovate materials or a combination of mid-level to high-quality materials. All piano materials are carefully selected before being used in the instrument. For most of the more reputable piano brands, the selection process for the wood used in the soundboard and rim is particularly lengthy. The wood has to be a certain age and quality or else it has to be thrown out and cannot be used in the final product. Harvesting those exotic woods is also an expensive process. The wood is carefully sorted and picked from specific forests in certain regions of the world. Common hardwoods found in grand pianos include mahogany, maple, ebony, and spruce. Once that wood is picked it has to be air dried, kiln dried and then seasoned before it is used in the instrument. For the most part, a typical piano will use a spruce soundboard, maple pin block for tuning stability, and a combination of woods for the piano case. Sometimes the piano rim is made with laminate wood. Other expensive parts that are found in the piano include the wool felt materials used in the hammers. Some hammers are made of leather as well. While most piano action parts are traditionally built from wood, more modern innovations are using carbon fiber and plastics. The cast iron plate is also quite expensive and is one of the heaviest parts inside a piano. A set of metal piano strings can cost more than $600. Depending on the finish of the keytops, the keys themselves can also be quite expensive although most are made from wood and plastic. Some manufacturers like Yamaha make hybrid keytops that feel like ivory. The pedals are typically made from brass or chrome but only cost around $100 – $200 for the entire set of 3. Another big material cost is the finish of the piano itself. The most common finishes are polished ebony, polyester, and satin. Some pianos have a solid wood finish including cedar and mahogany. More elaborate pianos by Fazioli and Kawaii have finishes made entirely of transparent glass. Other pianos have jewels built into the finish as well as engraved materials. When looking at buying a piano, a big part of the final cost is attributed to the age and condition of the instrument. Generally, the newer the piano, the more expensive it will be. In the case of used pianos, the condition of the instrument factors a lot into the final costs. Pianos that have been poorly taken care of, need extensive repair work, or in some cases don’t function at all will be much cheaper to buy. As the buyer though, you would need to anticipate how much of an investment is needed to bring the instrument into playing condition. It is very easy to get a terrible piano for $5000, however, the repairs might cost in excess of $15,000. In that case, it would make more sense to simply buy a new instrument for $20,000 instead. Used pianos that need minor work or play well will cost more; sometimes as much as a new one. Older does not always mean cheaper, especially when dealing with bigger brands like Steinway, Fazioli, Bosendorfer, and Yamaha. For example, a 1902 Steinway could easily fetch $50,000 while a 2006 Steinway of the same model might only fetch $46,000. In this case, you might find that the 1902 Steinway has had a complete rebuild, essentially making it brand new compared to a 2006 Steinway that has some mileage on it. Each piano has to be looked at on an individual basis because each has its own history. When making a purchase it’s a wise idea to get a full history of what repairs were done to the instrument. An instrument that has had patchy work done or needed frequent repairs is a sign that it might be worth less than the asking price. Whether it’s a cheap piano or an expensive brand, how you finance the instrument can greatly affect the final costs. Those who have found a piano that they love and commit to purchasing it need to be aware of how financing works. Much like a car payment, the more initial money paid on the piano, the lower the monthly payments will be. With any piano loan, there will be interest tied to it. Those who choose to make smaller down payments on the piano will end up paying significantly more in interest over the years. A typical piano loan runs at 6.99%. For example, if the piano cost $180,000 and the loan were stretched to 20 years, the final purchase cost would be $334,670! This is why it’s always wise to shop around for a piano in several markets. Thousands can be saved when purchasing a piano from a private seller. Although a private seller cannot offer any warranties or financing, a thorough inspection of the instrument should ease any concerns. It’s much cheaper to hire a technician to look over an old piano. This also gives you more options to obtain your own financing rather than using the sellers financing. In general, it’s always a smart idea to have some money ready to put down on a piano initially to help with the final costs. Because pianos are offered at varying price points, it’s tough to know just how much to spend on one. 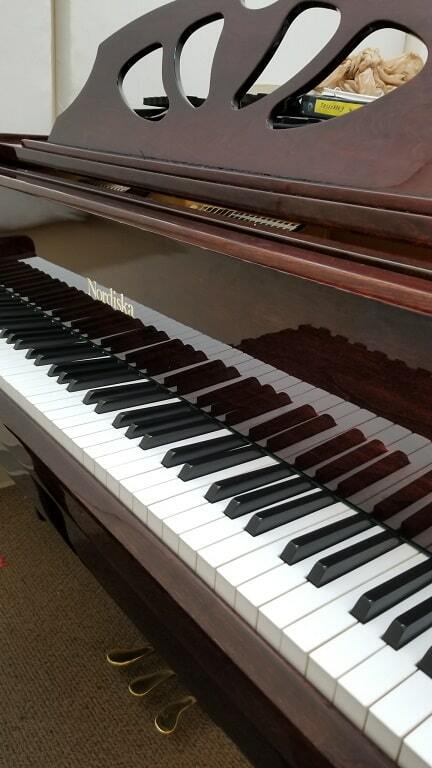 The easiest way to decide how much to spend is to think about how the piano will be used. If the piano is being purchased for a novice or beginner, then you can easily do fine with a beginner’s digital keyboard. These are much less than acoustic pianos and offer a good introduction to the instrument at a low investment point. Most digital keyboards start around $300 and work their way up. If the student is more serious about the instrument, then an acoustic upright piano is a good option. Most upright pianos start as little as $3000, but on the used market they are significantly cheaper. I would advise getting a used piano from a private seller because many times you can get one for free. The condition of the piano might be terrible, but with some work, they will be playable. Grand pianos are instruments I would consider for intermediate to advanced students who are serious about music. A cheap grand piano plays much differently than a high-quality one. In general, I recommend sticking to brands like Yamaha, Kawaii, and Baldwin. 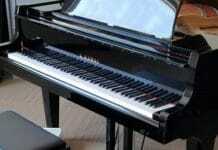 They offer excellent entry-level grand pianos for really good prices. Be prepared to spend at least $10,000 – $15,000 on a grand piano. Steinway makes the Boston and Esx pianos which cost a little more, but they are excellent instruments. At that price point, you might be better off investing $30,000 in a used Yamaha that’s 6′ to 7′ in size. Brodmann makes a 5’9 CE-175 grand piano that’s also really good. In general, stay away from used pianos that need a lot of reconstructive work. Pianos in that condition will cost more to fix than they would be purchased new. If you do plan to purchase an old piano, a proper inspection beforehand can save you a headache later. Is a baby grand piano worth it? Baby grand pianos are a cost-effective option compared to larger grand pianos. However, baby grand pianos are not considered a significant upgrade over upright pianos. These pianos, however, provide the kind of hammer action needed for advanced piano playing. Should you buy a 25-year-old piano? It is not recommended to purchase pianos older than 25 years old without a proper inspection. Pianos older than 25 years tend to have more wear and tear and repair history. A new piano will always perform better than an older one. Pianos 25 years or newer are considered to be in their best playing condition. How to inspect a used piano? 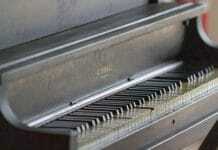 Used pianos should be inspected for broken or missing parts, rusting, and genuine parts. A piano technician is skilled enough to verify the instrument is in playing condition. Technicians can also alert buyers of any potential problems the instrument may have in the future. I really want to purchase a piano for my home soon. I like that you pointed out that it might be smart for me to get the piano inspected before I get it. That is good for me to know because I want tog et a good piano that will last a long time.